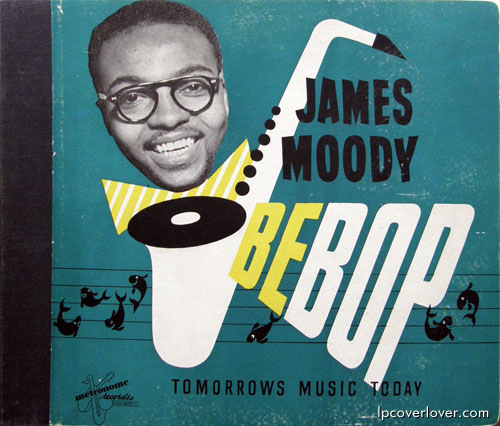 This site is for everything James Moody. Think of this film as the biography of a recording. Although it was created by a trio of legendary jazz figures: James Moody, Eddie Jefferson, and King Pleasure – ‘Moody’s Mood for Love’ has outshone its singers to take on a life of its own in the pantheon of pop. Something about this one jazz instrumental — to which indelible lyrics were later added — has made ‘Moody’s Mood For Love’ as iconic in its own way as “I’m in the Mood for Love,” the standard on which it is based. Over the years, ‘Moody’s Mood’ has been recorded by Aretha Franklin, George Benson, Quincy Jones, Van Morrison, Queen Latifah, and Amy Winehouse, among many others. Tito Puente gave it a Latin slant. Chuck Brown & the Soul Searchers gave it the go-go treatment. Bill Cosby and Nancy Wilson sang it in an episode of “The Cosby Show” in 1993. For many years it was the signature sign-off song for the great New York radio deejay Frankie Crocker. The Gap built it into the soundtrack of one of their television commercials in the early Nineties. And it is still being performed nightly in the Tony Award-winning musical “Jersey Boys.” The song has become deeply embedded in the collective consciousness of music lovers worldwide. The song was inducted into the Grammy Hall of Fame in 2001, and recently achieved another milestone: its 60th anniversary. The immortal blueprint for the song was first cut on a borrowed alto saxophone at the tail end of a recording session in Stockholm, Sweden on October 12, 1949. The player was a 24-year-old, hard of hearing, African-American jazz musician named James Moody. Moody had replaced Charlie Parker in Dizzy Gillespie’s band after serving in a segregated Air Force unit during World War II. Tired of America’s routine racism, Moody decided on a whim to visit his uncle in Paris for a trip that was supposed to last a couple of weeks, but which ended up lasting several years. The Swedish sessions were the first under his name. “I’m in the Mood for Love” was the last of the twelve songs Moody recorded that day, and he tossed it off in one take. Sweden’s Metronome Records leased the track to Prestige, an American jazz label that had only opened for business that year. Prestige pressed it up as a 78 and it became a jukebox hit in nightclubs in black communities across America. Written by Dorothy Fields and Jimmy McHugh, the original version of “I’m in the Mood For Love” was introduced by the singer and actress Frances Langford in the movie “Every Night At Eight” in 1935. Several recordings of it immediately hit the pop charts — including one by Louis Armstrong — and it then proceeded to establish itself as a pop standard. But the composition was very much of its time, an icon of Depression-era moon/June earnestness. Just a year after “Mood”‘s debut, eight-year-old Carl “Alfalfa” Switzer captured the song’s painful sincerity in one of the “Our Gang” comedies. Bebopper to the bone, Moody improvised a new melody over the chord changes of “I’m in the Mood for Love,” adding a sense of fleet, lighthearted, cool-cat hipness to the song’s crooning sentimentality. His reconstruction remained a love song, but where the original could be fusty, Moody was simultaneously intimate, exuberant and funny. And although the tempo was moderate, Moody’s dazzling double-time passages made it seem much faster. But for all of Jefferson’s elegant wordsmithery, he wasn’t really much of a singer. Luckily, Clarence Beeks was. A cool cat who went by the name King Pleasure, Beeks absorbed Jefferson’s live performances of ‘Moody’s Mood,’ then began performing it himself. By the time he won one of the Apollo Theater’s amateur night contests with ‘Moody’s Mood,’ Beeks was claiming that he himself had written the lyrics. In 1952 Prestige recorded King Pleasure singing ‘Moody’s Mood,’ (with Blossom Dearie providing the distaff verse). The record leapt into the topmost reaches of the R&B charts. Although Jefferson recorded his own version in 1956, and King Pleasure utterly disappeared in 1960, it is Pleasure’s version that became immortal. I love the write-up, but are we sure Jefferson “invented” vocalese with this song? I’ve been a jazz aficionado (and even a deejay) since the mid-80s, and a fan of this song for almost as long. But this is the first time I’ve heard the “vocalese origin story” claim. Per Wikipedia: The inventor and most prolific practitioner of vocalese was Eddie Jefferson, whose rendition of Coleman Hawkins’s “Body and Soul”  became a hit on its own. Pioneers of vocalese include King Pleasure and Babs Gonzales, Jefferson’s former dance partner. Pleasure first gained popularity singing Jefferson’s vocalese classic “Moody’s Mood for Love”, based on a James Moody saxophone solo to “I’m in the Mood for Love”. However, [Kurt] Elling makes a point to recognize Bee Palmer, who sang lyrics to a Bix Biederbecke and Frankie Trumbauer solo on “Singin’ the Blues” as early as 1929.